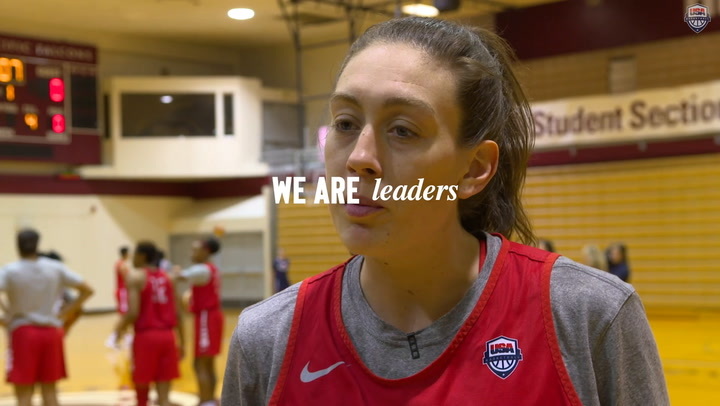 Playing Canada in exhibition for the second time in the past week, the USA Women’s National Team earned an 84-68 win on Saturday afternoon in Antibes, France. An 11-0 run that began with the USA’s last points of the first quarter and stretched into the second period gave the USA a 13-point lead early on and control of the game. In the win, the USA was led by A’ja Wilson (Las Vegas Aces), who scored 14 points, including 10 in the third quarter. 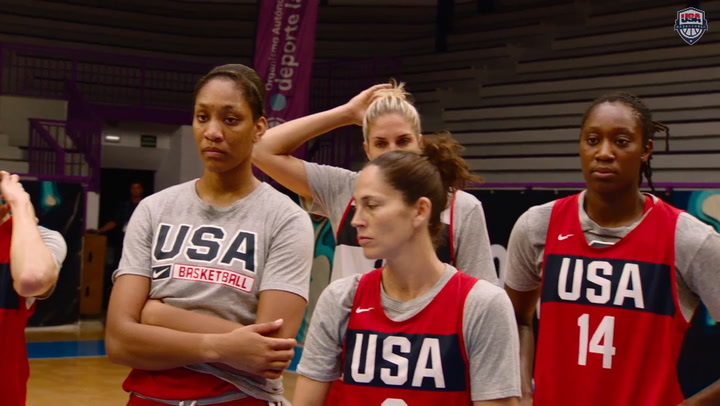 The USA also received 13 points and three blocks from Brittney Griner (Phoenix Mercury) and 10 points from Diana Taurasi (Phoenix Mercury), both of whom recently joined the team in France after playing in the WNBA playoffs. Further, 10 of the USA’s 11 players put points on the board. Canada made several runs throughout, but could come no closer than eight points in the second half, and each time the USA pushed its advantage back to double digits. The USA earned its first exhibition win over Canada on Sept. 8 in Bridgeport, Connecticut, which was a 74-68, come-from-behind victory. For the game, the USA shot 41.9 percent from the field (26-62 FGs), while limiting Canada to just 30.9 percent (21-68 FGs). The contest was close for the first quarter, which saw five lead changes and three tied scores. 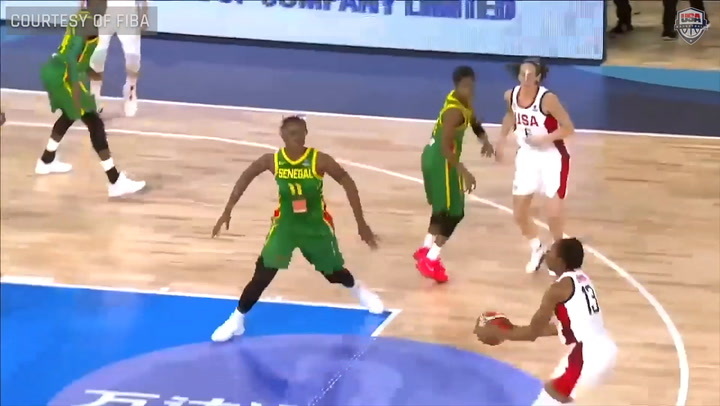 Led by seven points from Griner, eight U.S. scorers put up 24 points to Canada’s 20 points. The final two points of the first period for the USA by Nneka Ogwumike (Los Angeles Sparks) were the start of an 11-0 run that gave the USA a 33-20 advantage 3:07 into the second quarter. From there, the USA outscored Canada 8-7 to pull ahead 41-27 at halftime. The USA defense buckled down in the second period – forcing six Canadian turnovers and limiting Canada to just 2-of-14 from the field (.143) in the quarter. Canada made several runs in the third period, twice pulling within eight points, but each time the USA responded. Pushing its lead to as many as 16 points in the quarter, the USA took a 67-54 lead at the end of three periods. The USA increased its lead by three points, outscoring Canada 17-14, in the fourth quarter to earn the 84-68 win. Layshia Clarendon (Connecticut Sun), Kelsey Plum (Las Vegas Aces) and Morgan Tuck (Connecticut Sun) each collected six rebounds, and Plum dished out four assists. The USA continues its exhibition schedule against Senegal at 10:30 a.m. EDT on Sept. 16 (online stats), and host France, which is the No. 3 ranked team in the world, at 2:30 p.m. EDT on Sept. 17 (online stats). Including four athletes who have not yet joined the USA in Europe due to competing in the WNBA Finals, the USA roster currently stands at 16 athletes, including Kelsey Mitchell, who returned home from Washington, D.C., on Sept. 13 due to a death in the family. The official, 12-member roster will be announced prior to Sept. 22.